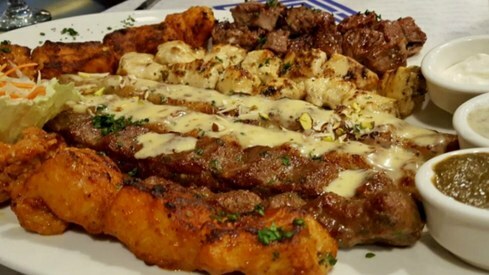 Middle eastern cuisine has gained popularity in Karachi in the last half year. With advents like Figaro, Paramount and many mandi joints opening, it's safe to say, we want more. 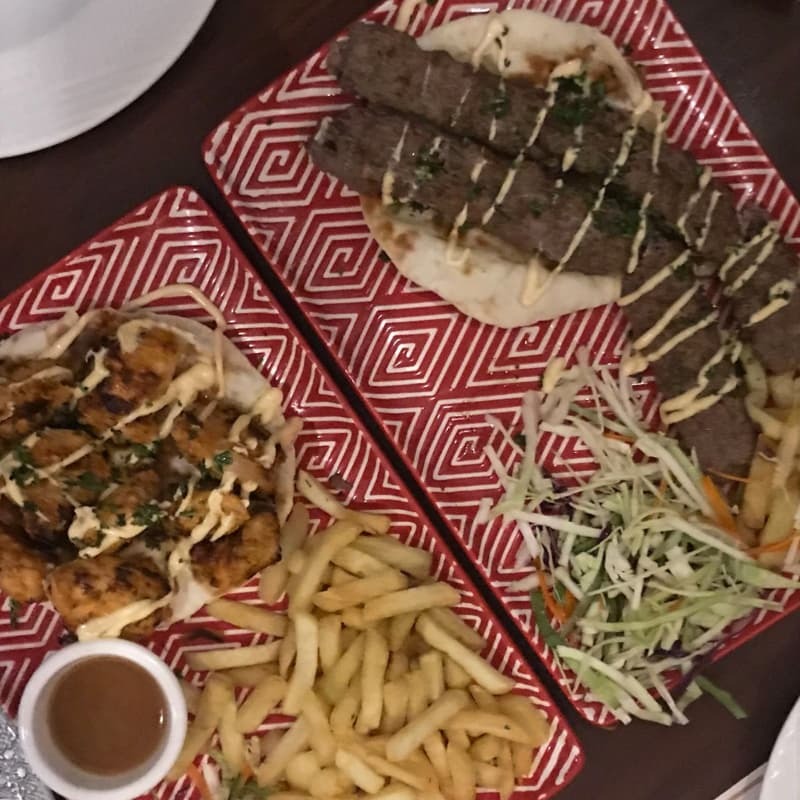 The latest such eatery to join Karachi is Ala Rasi, a restaurant that offers Lebanese, Turkish and Arabic cuisine along with Afghani cuisine. I know that's South Asian and yes, I know that's a lot of cuisines for a restaurant. Fascinated to see what this eatery had to offer, we head down there to know more. Ala Rasi is located at Shahbaz Commercial, right behind Main Khayaban-e-Shahbaz. The decor of Ala Rasi had us all nodding in approval. The beautiful interior and the set up makes this not only a great place for a family dinner but also for a casual dinner. The restaurant has sections with low tables and fluffy carpets (we need to talk about the carpet, our feet were so happy) which could be closed off with curtains. 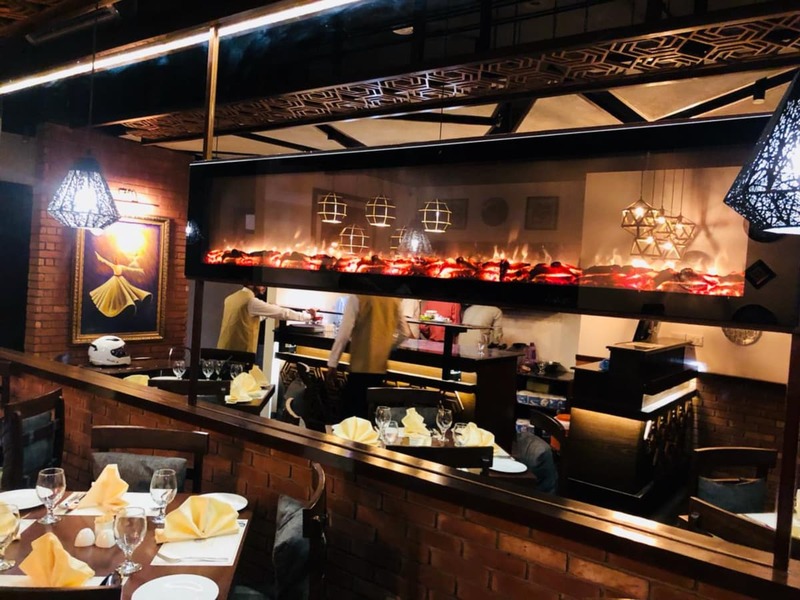 We asked Usama Ahmed, the project consultant at Ala Rasi, about what to order hoping he'd make it a great experience. He recommended many of his specialties while also letting us try some of the continental varieties. Usama told us we'd appreciate their hummus and we sure did. 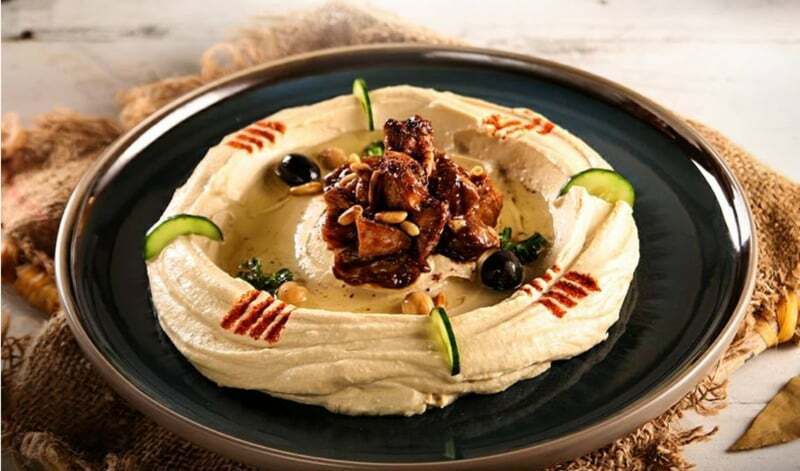 The hummus was creamy and smooth with the right amount of tang to counter the almost nutty flavour of chickpeas. We were impressed and off to a great start. 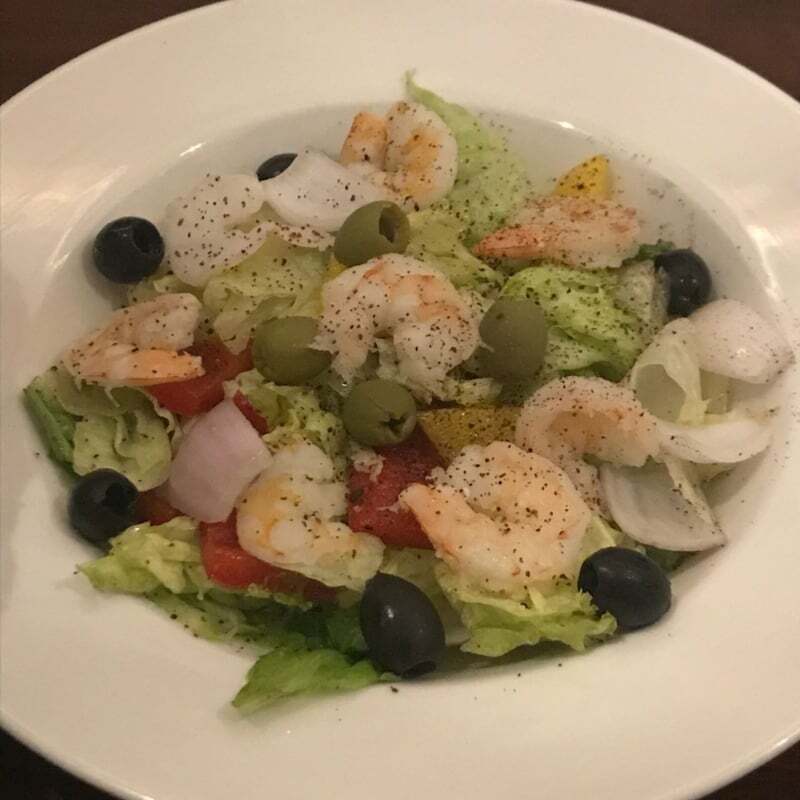 We were curious as to what a citrus prawn salad was doing in a very middle-eastern menu. So we ordered it. The salad was a surprise hit, with light, fresh flavours blending well. The chili garlic prawns were a little too loaded with chili. While we didn't mind the strong hint of spice, we were disappointed in the tortilla bowl it came in. The crispy bowl was thick and bland and brought down the dish in terms of flavour. The cheese manakeesh was also a bit of a disappointment. I understand subtle flavours but this was just a little too bland. The chicken lollipops were basic drumsticks. This is the item you order for the children at the table. With flavours resembling a less spicy tandoori chicken (that's right, I said less spicy tandoori chicken) this was our least favourite dish of the night due to it's rather mundane taste. 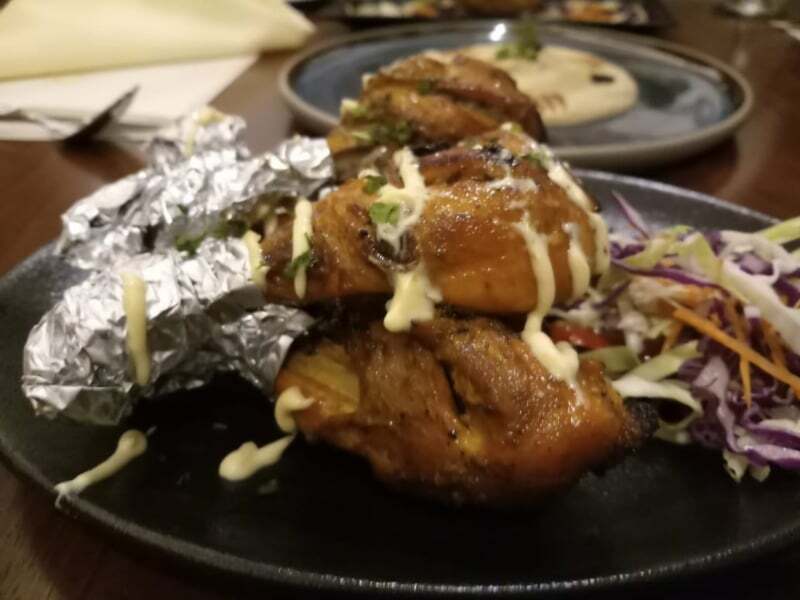 Moving on to the mains, we were VERY impressed with the quality of meat that Ala Rasi offers! The Aatish laham kaburga is mutton ribs grilled and served with rice and vegetables. The mutton was tender and falling right off the bone so we were all happy with it. We also liked the flavourful rice it was served on top of, although the grilled vegetables weren't impressive. They were just whole veggies grilled without seasoning. 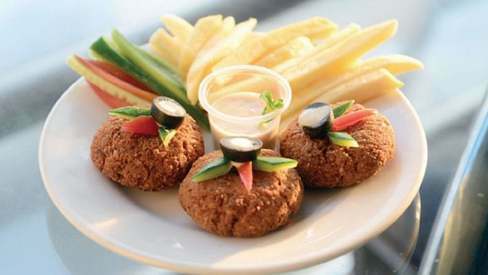 The laham kababs were our least favourite in the mains. While the seasoning of the meat was nice with a kick, the dish fell slightly on the dry side and that had us ignoring it for the most part. The sheesh touk chicken was tender and well-marinated. It tasted very different from the chatpata taste sheesh touk has at other joints. While we liked it, we couldn't enjoy it compared to the mutton dishes. Especially the pilaf. 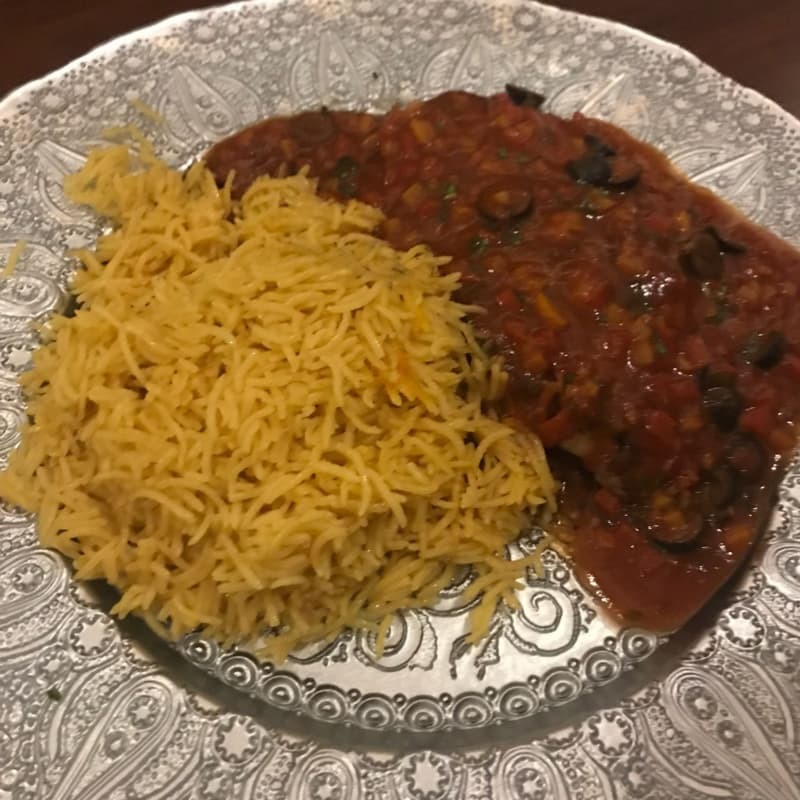 However, the laham khubus pilaf was the star of the table. 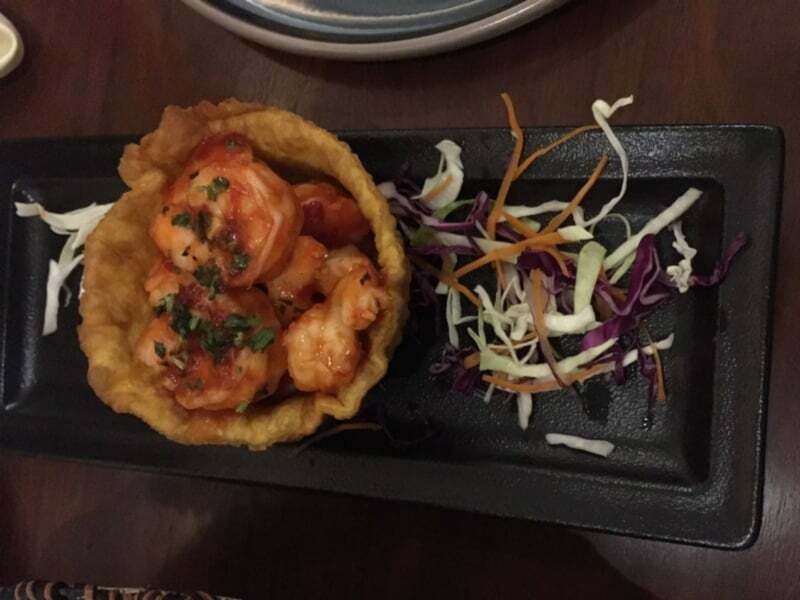 From its presentation to the meal, it became the dish we'd happily go back for. They make a spectacle out of serving it, bringing it literally out of the flames! This is some of the best mutton I've had at a restaurant with a melt-in-your-mouth texture, tender and full of flavour. The rice were also spot on; aromatic, rich and complimenting the mutton perfectly. Also the whole dish was covered in khubus, a type of flatbread which had a sweet note in it. Yes, we were all smitten by the laham khubus pilaf. 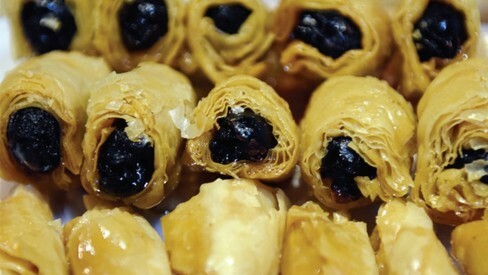 The samak herra was a unique offering from the seafood menu. The baked fish was paired with a tomato based sauce with some heat. We really like the hints of garlic within the sauce, that really tied all the other spices together. The samak herra is also served with rice and I have to give a shout-out to Ala Rasi for their many rice varieties. Each dish that came with rice had a completely different rice dish. 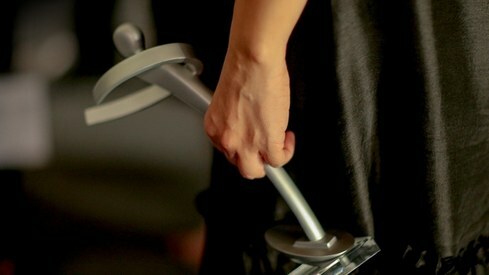 Usama was very happy that we picked up on this. 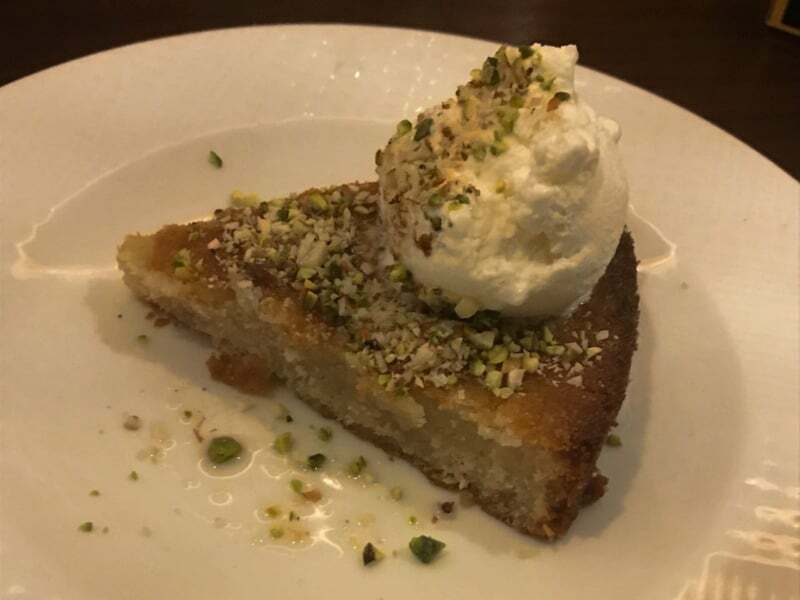 For dessert, Usama insisted we try their kunafa. 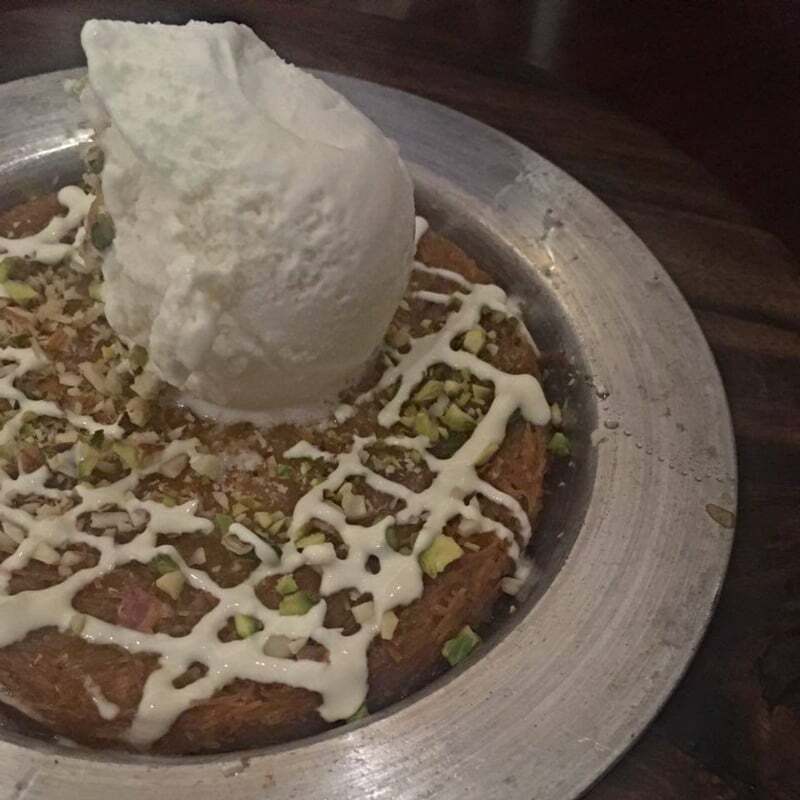 Ala Rasi gives you the option of having kunafa with or without ice cream. While the option of ice cream may sound odd to the purist, I was eager to try it since I saw the combo trending on social media. The kunafa is warm and full of cheese. The pastry was light and crispy and I loved that it wasn't too sweet but still had the right taste. Some of us did want more cheese but that may be an unhealthy cheese bias. The basboosa was another dessert we enjoyed a lot. The warm cake was full of coconut and sooji (semolina) and while it seemed heavy, it surprisingly wasn't. The appetisers at Ala Rasi range from Rs 500 to Rs 700 while mains go from Rs 700 to Rs 2500. Keep in mind the dishes leaning on the expensive side are meant for sharing among 3-5 people so it's not as expensive as it feels. Ala Rasi is one of those restaurants you take your family to for a nice dinner. 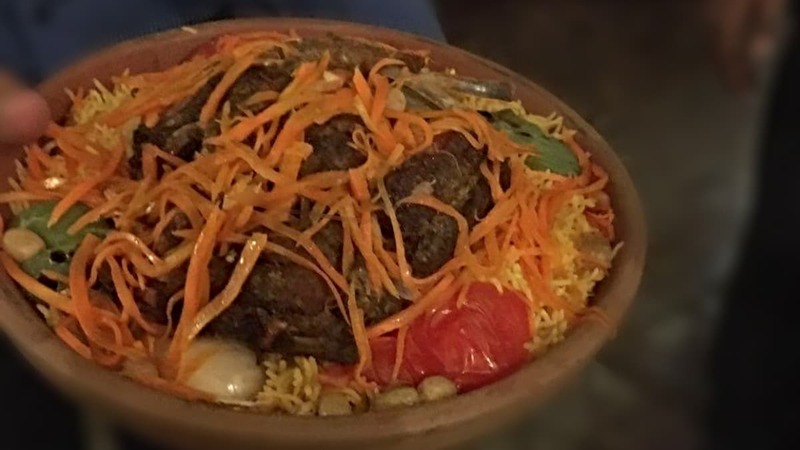 Afghan cuisine is Central Asian not South Asian. What a great place to eat.